A while back, I bought some Mr Cement Deluxe, a liquid cement. Having tried Mr Cement S, I thought the "Deluxe" would be just as good, but it wasn't. It was more viscous, so it didn't wick, but it didn't really have any tack strength to hold parts in place (they had a tendency to fall off or slide around). 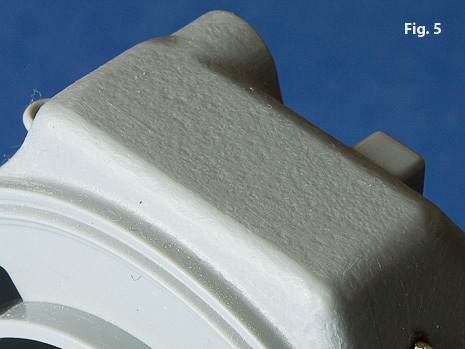 I was fartzing around with an old AMT (ESCI) "T-74" and thought that the turret needed a cast texture. 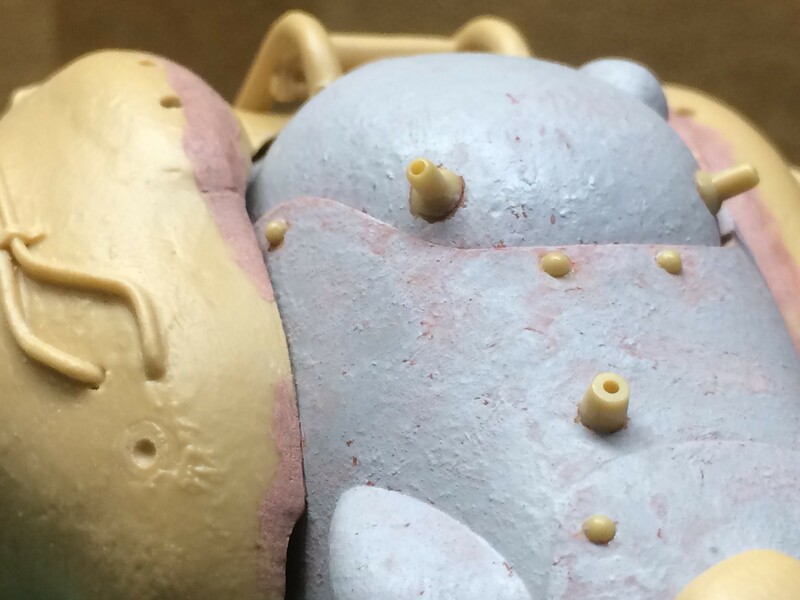 Since the Mr Cement Deluxe was within reach, I tried stippling some on, and some decent texturing was the result. The stiff, frayed applicator brush didn't allow precise control, so I switched to a small brush to mop the cement around conduits and fittings that should not have a cast texture. A very light scrubbing with some worn sandpaper should finish off the texture nicely. 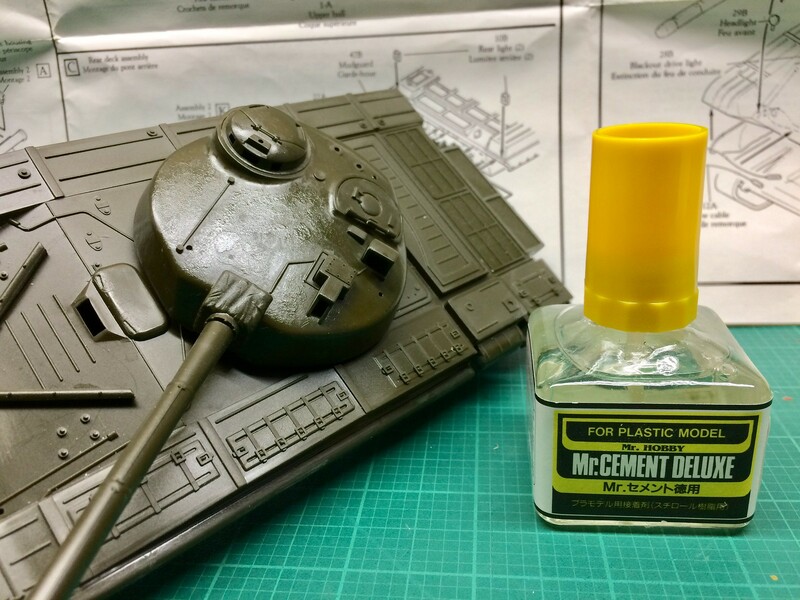 I have used other liquid cements to do this, but products like Tenax, Mr Cement S, and Tamiya Extra Thin evaporate too fast, and Testor's liquid cement just makes everything shiny and enhances surface scratches. Mr Cement Deluxe has enough body to build up texture, yet dries pretty quickly. 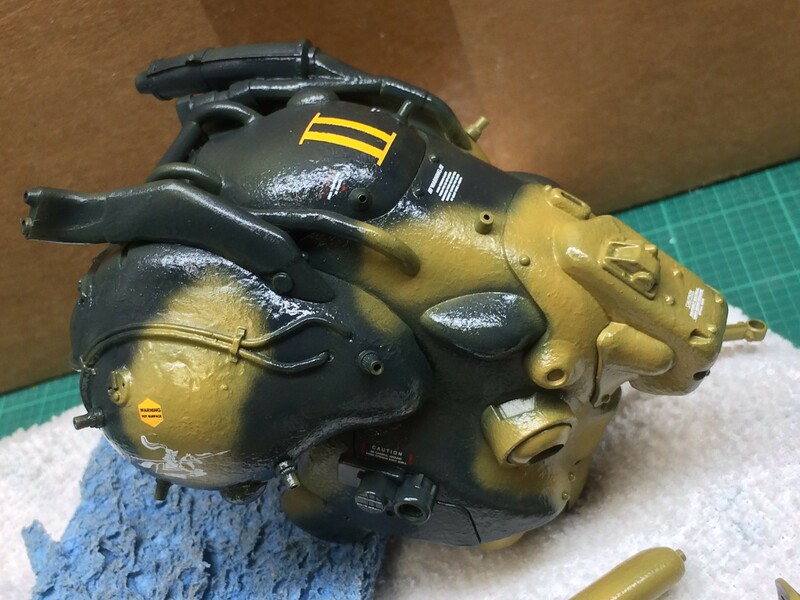 There is enough time to work it, and if the paint brush gets stiff, some lacquer thinner will rinse it out nicely. I bought a carton of Mr Cement Deluxe, so I guess I now have a use for it. Just exactly what the kit is supposed to be I have not a clue. 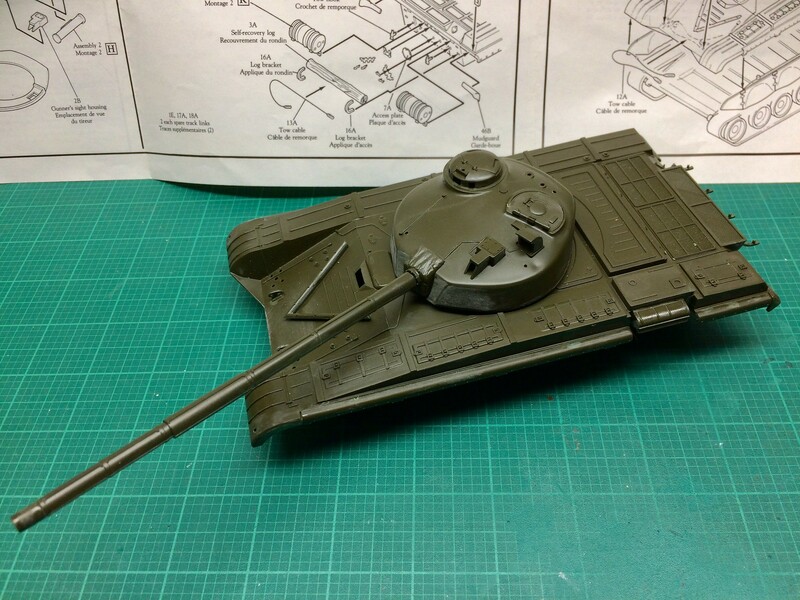 It looks nothing like a T-72 or T-80, but being that the receipt in the box says I bought it in 1990, it was a product of the Cold War era. This was a time when kit makers had to rely on blurry black and white cine' films smuggled out of Russia. Or go to France and talk to the military delegation that were shown a real live T-72. There's a strange story about the pentagon trying to determine the size of the T-72's main gun in ways that would have made Wily E. Coyote smile, but that's a story for another day. You should give Mr Surfacer 500 a try. Works great at producing that cast texture. I'll second that! 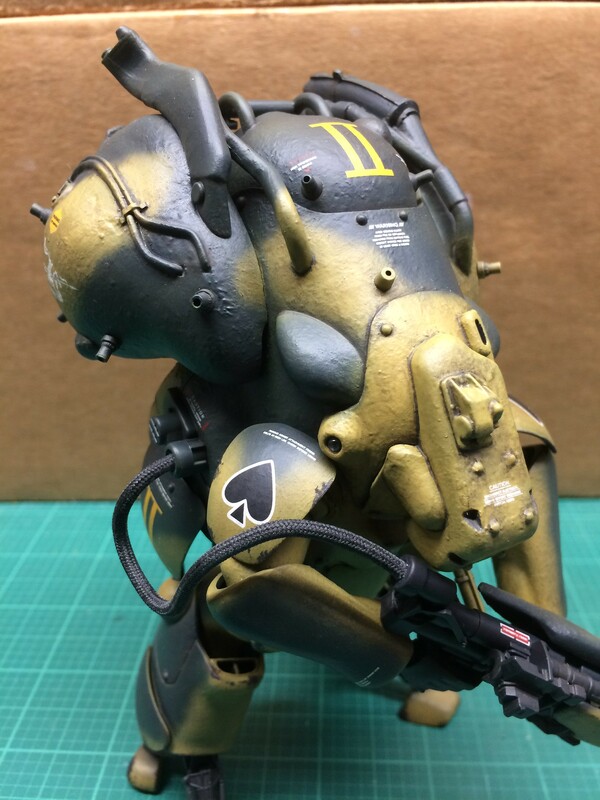 I build Maschinen Krieger kits, and I see a lot of other MaK builders using Mr Surfacer to do the cast texture. As far as brushes go, you can always use those cheap utility brushes for a job like this. I used Mr. Surfacer 500 plus automotive glazing putty to texture the Black Knight, but it was a multi-layered effort. The Mr. Cement seemed to build faster and in one shot. 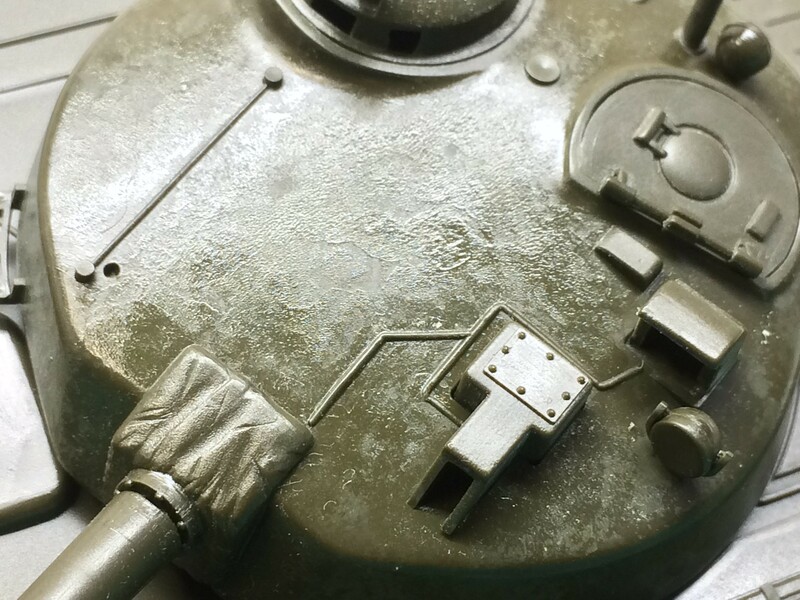 I'll see what the T-74's finish looks like after a shot of primer. I stipple the Mr Surfacer and takes but a couple of applications. That is a whole lot easier and faster to do. Well done!! !